4.NBT.A.2 - Read and write multi-digit whole numbers using base-10 numerals, number names and expanded form. 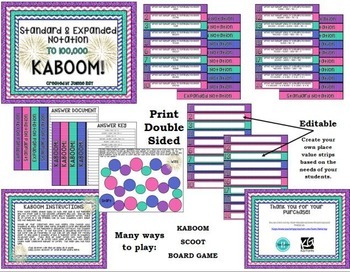 Help your third grade students understand standard and expanded notation for numbers up to the hundred thousand's place using this colorful and versatile product which includes 24 KABOOM strips, instruction sheet, answer key, answer document, editable strips, and game board. 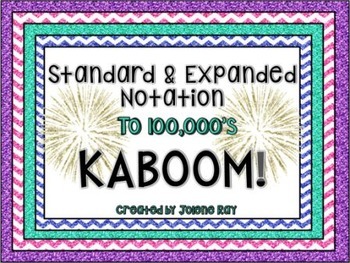 This product supports third grade math TEKS 3.2A, provides foundational skills for CCSS 3.NBT, and supports CCSS: 4.NBT.A.2. Best of all - it is editable so that you can add your own place value questions based on the learning needs of your individual students. The document is in pdf and powerpoint form. You will need to use the powerpoint product for editing as the pdf version is uneditable. 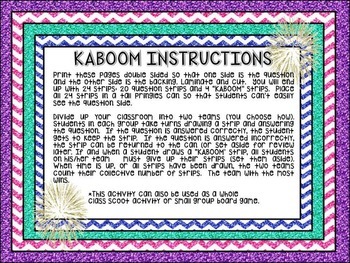 This product is part of my Huge 3rd grade TEKS-aligned growing bundle. 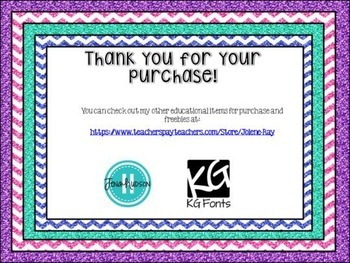 Click below to find out how to get this and other 3rd grade products at a 50% discount.